Home » COUNTRY » A Name Fit For Royalty: T.I. And Tiny Reveal Daughter’s Name! A Name Fit For Royalty: T.I. And Tiny Reveal Daughter’s Name! (BlackMediaScoop) T.I. and wife Tiny have revealed the name of their newborn daughter on social media, and it’s a name fit for royalty. SIDE NOTE…Carolina QB Cam Newton named his son ‘Chosen’! “Welcome Home Heiress!!! The Ride Begins…. #FamilyHustleOverErrrthang.” the rapper wrote as the picture’s caption, which showed him with a baby carrier holding #Lucky7. 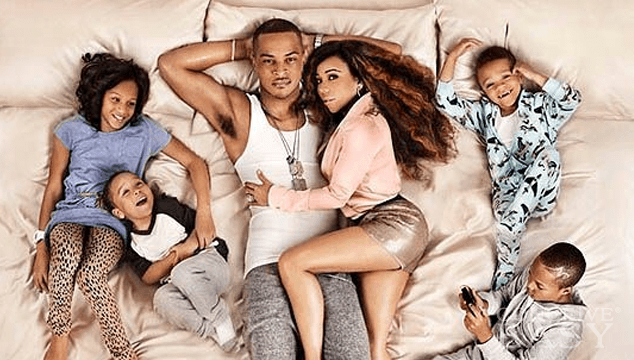 Tiny took to Instagram to treat fans with a picture of Poppa T.I.P. and the newest bundle of joy. This is the first mention of the newborn’s name since her birth on Mar. 26. What do you think about her name?